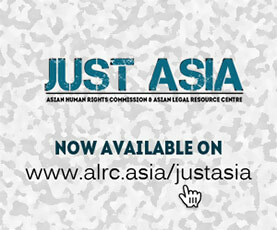 The Asian Human Rights Commission (AHRC) is writing to inform you that a man falsely accused by police of being a drug dealer, was arrested and detained twice to force him to confess. The policemen burned his hand with a lit cigarette and repeatedly assaulted him inside the police station in Cilegon City. On April 29, 2009 at around 10:30pm, Zaenal M. Latif was held and then detained by more than ten police officers in Cilegon City, Banten province. The police, who disguised themselves as preman (this is a slang word which also means a gangster or thug), arrested him in the area of Taman Bonakarta complex. He was with Nunu, a close friend, waiting for a ride when the incident took place. While Latif was held in detention, Ipda Dedi Herdiana, who had introduced himself to the victim as a member of the narcotics division, had Latif repeatedly assaulted about his head. No reason was given for his arrest. They then took him to the Cilegon Police Station in a van where they took a urine sample, supposedly to test him for illegal drugs; the result was negative. About five police officers wearing civilian clothing questioned Latif in an interrogation room, during which he was punched in his face and back. Through this maltreatment they forced him to confess and admit to being a drug dealer. The policemen also brought two persons called Upik and Neng into the interrogation room, who claimed that Latif was known to them and that they knew about his illegal drug activities. A police officer then burned Latifs left hand with a cigarette. Yet he was then unexpectedly released. However at 11:30pm four police officers arrived at the room he rented in Jombang Kali, Cilegon. They did not have an arrest warrant. They once again punched his face and body, they handcuffed him and trampled on his hands and fingers. He was not able to identify the torturers because they had their faces covered. On this second occasion, when the policemen were unable to find evidence that would convict Latif as a drug dealer they took him back to the Cilegon station where officer Briptu Rahmat threatened that if he did not confess to dealing drugs by 5am the following day (April 30), they might have to kill him. Rahmat said that this order came from their boss. Another unidentified police officer had also placed his gun against Latifs leg during the interrogation. On April 30 Ipda Dedi Herdiana, the police officer who claimed to be a member of the narcotics division and who had beaten him during his first arrest asked Latif to clean up and change his clothes, which were bloodstains before releasing him. Herdiana also warned Latif not tell anyone about what had happened to him. Please write to the local authorities listed below to demand that the policemen attached to the Cilegon Police Station be promptly subjected to an investigation. The ten police officers allegedly involved should face appropriate disciplinary sanctions. Legal actions must be taken against them once there is sufficient evidence for a conviction. It must also be determined whether their actions came as a result of instructions from their superiors. Please also ask the National Human Rights Commission (NHRC) and the National Police Commission (NPC) to ensure that the victim is afforded with adequate legal redress. The AHRC has written a separate letter to the UN Special Rapporteur on the Question of Torture calling for his intervention in this case. I am writing to voice my deep concern regarding the case of Zaenal M. Latif, a man whom police officers illegally arrested and detained on April 29, 2009. The police officers, attached to the Cilegon Police Station, falsely accused him of involvement in illegal drugs activities and being a drug dealer himself. The police had him arrested and detained twice. Firstly, while he was with a friend waiting for a ride on a public transport in the area of Taman Bonakarta complex; and secondly, from his rented room shortly after they had released him from the first interrogation. While he was in police custody on both occasions the officers subjected him to questioning inside their interrogation room while beating him repeatedly. On the first occasion his left hand was burned with a cigarette, on the second he was shown a gun and threatened with death the next morning if he didnt confess. The police also provided two false witnesses implicating Latif. I am deeply concerned to hear that the victim has been punished for a crime that he has not committed, without there being sufficient evidence against him. I am shocked to note the extent to which this violates the Indonesian governments commitment to implementing the United Nations Convention against Torture and Other Cruel, Inhuman or Degrading Treatment or Punishment (CAT), which it ratified in 1998. This case demonstrates yet again that most torture cases in Indonesia occur after arrested persons are taken to police stations in Indonesia, and it illustrates the continuing and extreme abuse of power by police during investigations. 3. Mrs. Sri Suhartini, SH.MM. « INDIA: No to torture, establish rule of law!